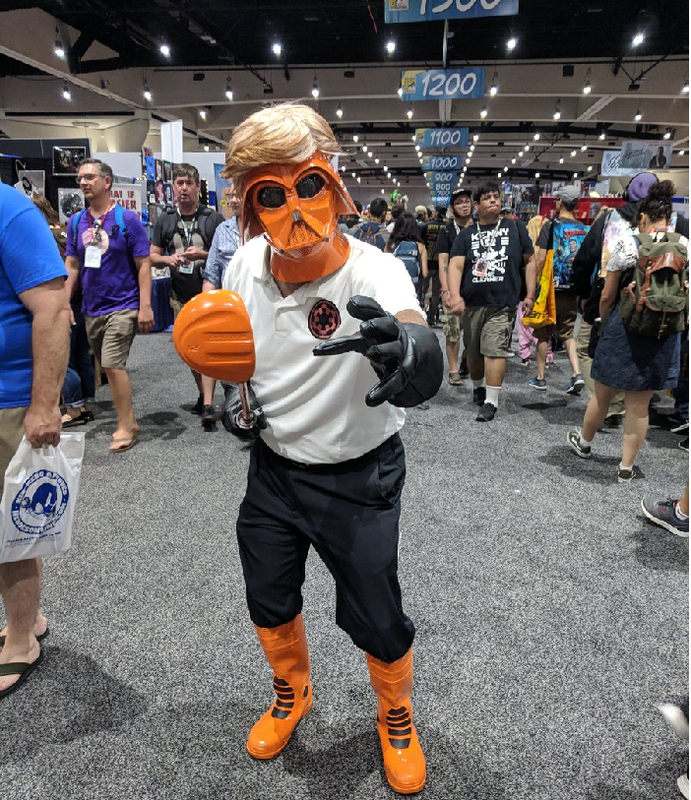 TheForce.net: Was Mark Hamill At San Diego Comic-Con In Disguise? When you're Mark Hamill, it's tough to attend the world's biggest celebration of geek culture unnoticed. One does not simply walk around San Diego Comic-Con without drawing attention when you're an uber-celebrity such as Hamill. Not be undone, Hamill did what anyone would do in the same situation...cosplay! But it turns out that might not be the case. As the weekend went on more information started to leak and as it turns out Hamill pulled a Comic-Con size prank on the fans. Turns out he did take on a role, that of the Trickster, and was never in San Diego for the inaugural event. Good one Mark! Had us fooled. First Look At Mark Hamill's Knight Templar Talus In Knightfall!